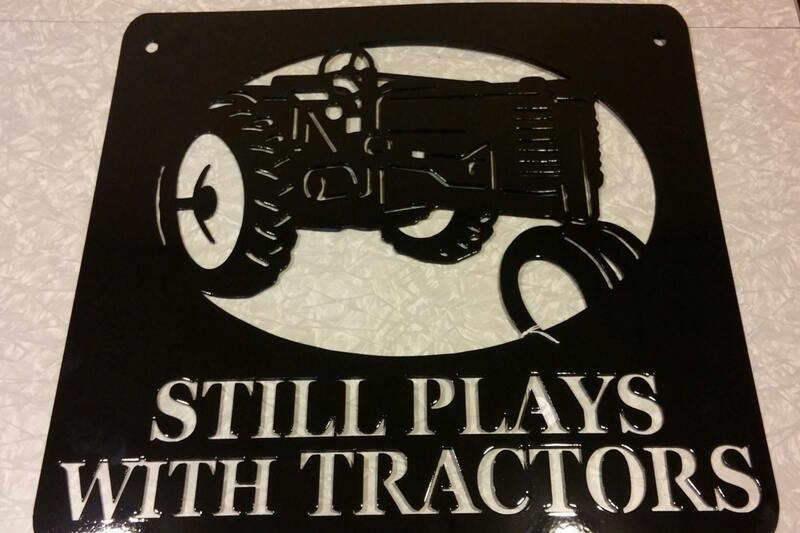 Still Plays with Tractors metal sign is perfect for the shop, garage or the man cave! 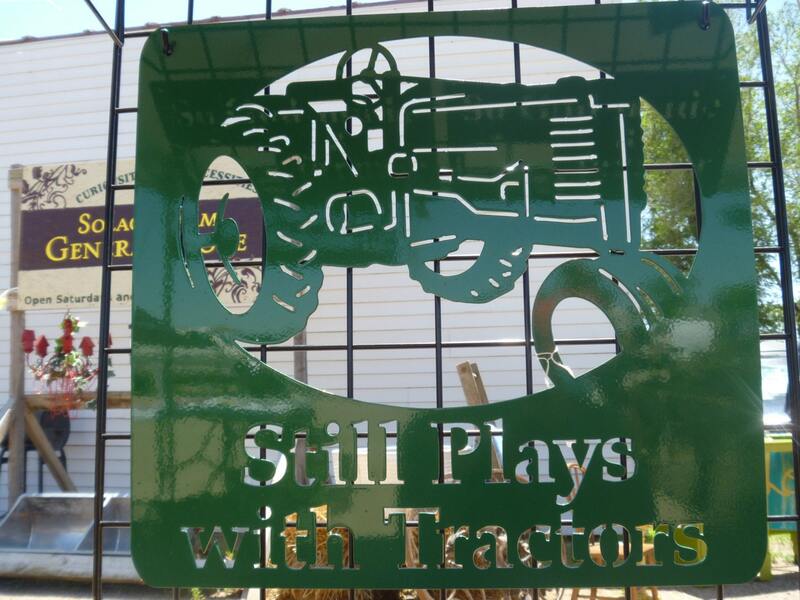 Glossy, steel tractor sign shows that you can play with tractors at any age. 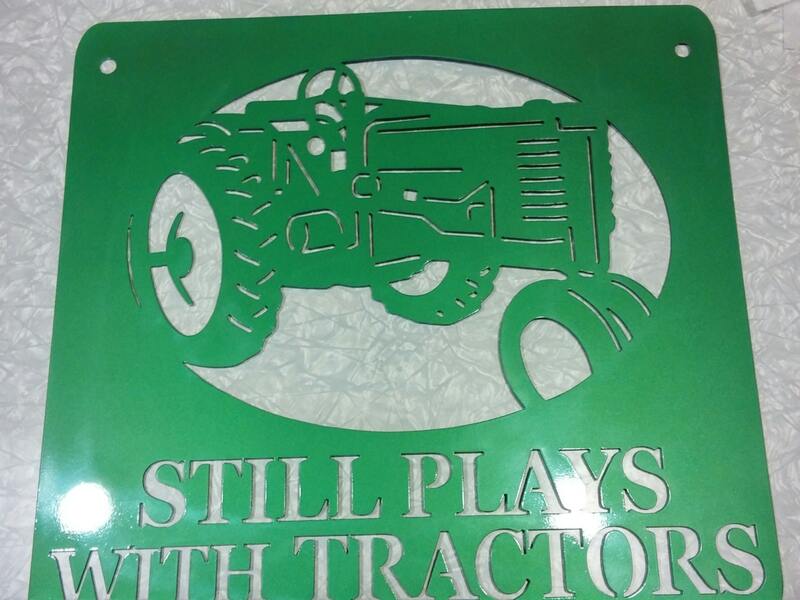 Sign is cut from steel about as thick as a nickel for a sturdy, hanging decoration. This beautiful sign is coated with your choice of powder coated color. You can safely display it indoors or out for decades to come! No peeling or fading like spray paint. Please note: Photos showing all capital letters are for color example only. Design has been changed to read with lower and uppercase letters. Customers have reviewed that it is much easier to read. We hope you'll love this sign as much as we loved making it for you! 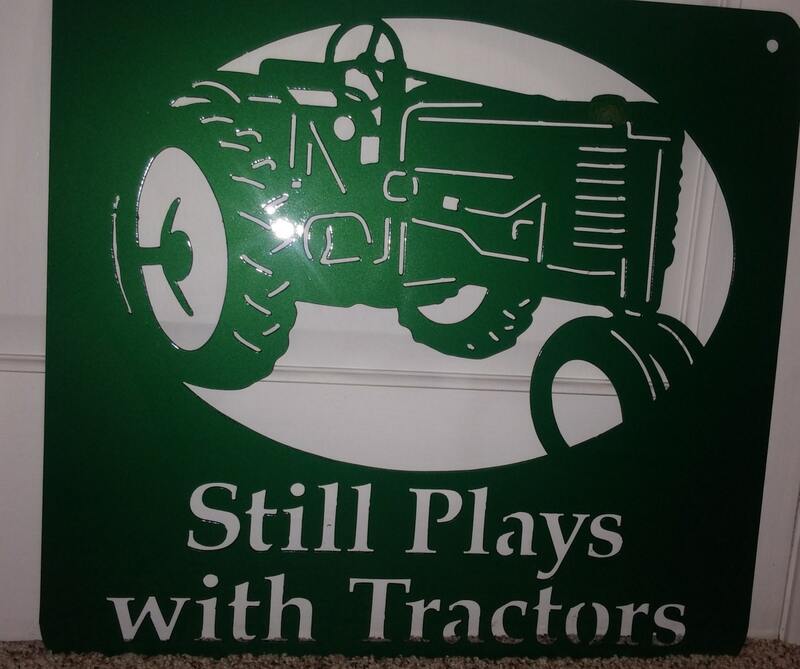 Our son-in-law is a big tractor fan; they attend all the local tractor pulls. I can't wait for him to open this gift on Christmas morning. It is nicely done, edges are all smooth and the paint job is flawless. Love this sign! My husband will too! Thanks so much!